As marijuana continues to receive recognition from the business industry itching for a new market to break into, no one has consistently measured the actual demand for marijuana state-by-state. The Dow Jones Industrial Average is a measurement of how much the top 30 publicly owned companies traded during a standard day. The Michigan-based AEG’s inaugural report brings this idea to the marijuana industry, looking at the demand levels on a state-by-state basis. 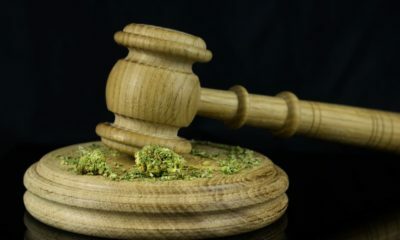 The most notable news in the report is that legal cannabis demand dropped by 1.1 percent in April, the last month with observable data and the second highest drop on record. Overall, however, demand has increased by 2.4 percent nationwide since the election, and 13.5 percent since January 2015, showing either that A) we need more weed to deal with this presidency, or B) marijuana demand has a ceiling that is currently not in sight. AEG consultant Peter J. Schwartz, who oversees the AndCan Index, said that the slight April drop is not a reason to worry just yet. “All indications are that this drop is but a detour on an otherwise steady path in the growth of the cannabis market,” said Schwartz. Fueling the report is an intense methodology that looks at the sale of legal cannabis products, THC concentration, market-share and state pricing differences. In states where marijuana still remains illegal, AEG measured the “latent demand,” an estimation drawn from a multitude of sources. This also means that as states legalize, AEG will be able to look at how the latent demand transitions into observable demand. The methodology behind the report has been in the works for years. AEG’s CEO, Patrick Anderson, first presented this methodology in 2015 at the National Association for Forensic Economists International Meeting; a revised methodology was also presented to economists at the 2016 Allied Social Sciences Association Conference. Hopefully, with the AndCan Index, the marijuana industry can grow up a little. Welcome to the High Times Shareholder Fun!